We are so excited about our new BEAM System ! Helping children with disabilities to address motor learning and coordination using whole body in an interactive environment. 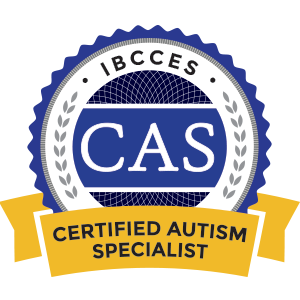 We work with children ages infant to 20, specializing in cases involving Autism, Down Syndrome, ADHD, neurological weaknesses and developmental delays. We have helped many kids graduate and become fully functional. Call 915-921-6881 today to speak with a bilingual occupational therapist in El Paso, TX. While OT For Tots first opened in 2015, our lead occupational therapist can draw on more than 23 years of direct experience. She's worked with school systems, intervention programs and home health providers. Her focus is now on pediatric occupational therapy in El Paso, TX. We are a member of the Better Business Bureau and the Cleft Palate Team of El Paso. We attend a variety of community health fairs to provide outreach services and spread awareness of occupational therapy and how it benefits children. We accept Blue Cross Blue Shield, Blue Advantage, Blue Choice, El Paso Health, Superior Healthplan and Tricare. We can provide help for military families and we appreciate your service. Contact OT For Tots today to learn more about the care we provide. OT For Tots is now a Partner in Education with Ascarate Elementary School with YISD in El Paso, TX! In order to enroll in occupational therapy in El Paso, TX, you need a referral from your doctor. The next step in the process depends on your insurance coverage. We will initiate an evaluation and do the appropriate testing to show there is a need for our services. We then can submit your documentation to obtain authorization for services. It can take three to six months for authorization. Schedule an evaluation for occupational therapy in the El Paso, TX area by contacting OT For Tots today.